Sunscreen with SPF 15 is a very commonly used sunscreen for every day wear, kept in handbags and car cubby-holes for continual use throughout the day. SPF stands for "sun protection factor" and is internationally recognized as a measurement for rating or classifying the strength of sunscreens. The SPF can range from as low as 2 to greater than 100, although there are movements afoot to make SPF 50 the highest possible. Is SPF 15 enough protection? 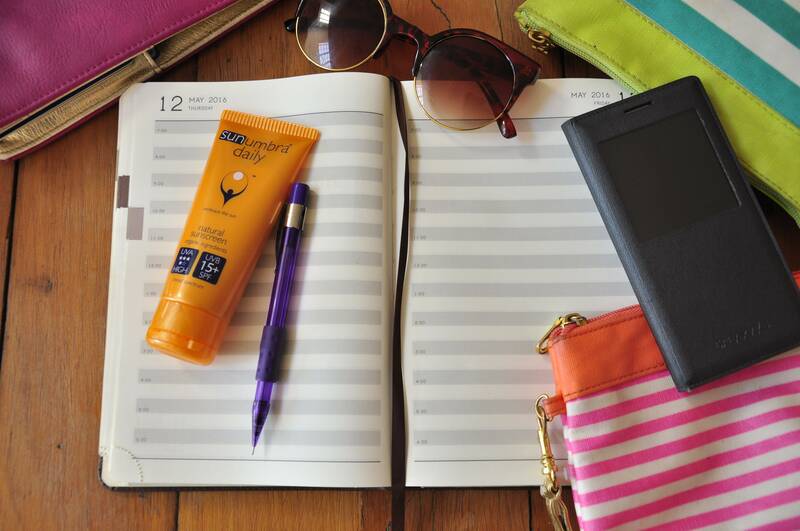 A sunscreen's SPF is calculated by comparing the amount of time needed to produce a sunburn on sunscreen-protected skin, to the amount of time needed to cause a sunburn on unprotected skin. This means that if a sunscreen is rated SPF 8 and a person who would normally turn red after 10 minutes of exposure in the sun uses it, it would take them 80 minutes, or 1 hour and 20 minutes, of exposure for the skin to burn. A sunscreen with an SPF of 15 would allow that same person to multiply that initial burning time by 15, which means it would take 15 times longer to burn, or 150 minutes. So, if you know how long it takes for you to get sun burnt when unprotected, you can calculate what SPF suits you. How fierce is the sun? Different geographical places in the world influence this in how close to the equator I may be. Being on water or in the snow also makes the effect of the sun's rays stronger as they reflect back up. Being higher up in the mountains rather than down at sea level, means I am closer to the sun! How tanned or not I am influences how well my skin will react to the sun's rays. When I am already quite tanned, I do not burn that easily, versus at the beginning of spring when my skin is rather pale and therefore more delicate. So I guess I have learnt to judge how to assess which SPF level will suit me in different circumstances. As a general rule, dermatologists strongly recommend using a broad-spectrum (UVA and UVB protection) water-resistant sunscreen with an SPF of 30 or greater year-round for all skin types. This is a good starting place and will help protect against sunburn, premature aging (e.g., age spots and wrinkles) and skin cancer. While this basic SPF rating offers a great amount of protection, the best way to use sunscreen to your advantage when in the outdoors, is to reapply it every two hours. Especially if swimming or sweating and toweling off. But in general, when not active outdoors or over-exposed in your very day activities, using SPF 15 as a daily sunscreen will help take care of your skin.